Captive panel screws—also known as captive fasteners or simply captive screws—are a type of fastener typically used in PC boards, electronic panels, and assemblies where mounting hardware loss is a common concern. Captive screws help avoid fastener loss by pairing with a retainer within the board, panel, or assembly to create a secure connection that can be loosened without fully removing the fastener itself. Versatile and easy to install, captive fasteners are ideal for numerous applications. Captive panel screws are available in six “types” in various configurations, including thumb screws and slotted screws, cone point and blunt point, etc. 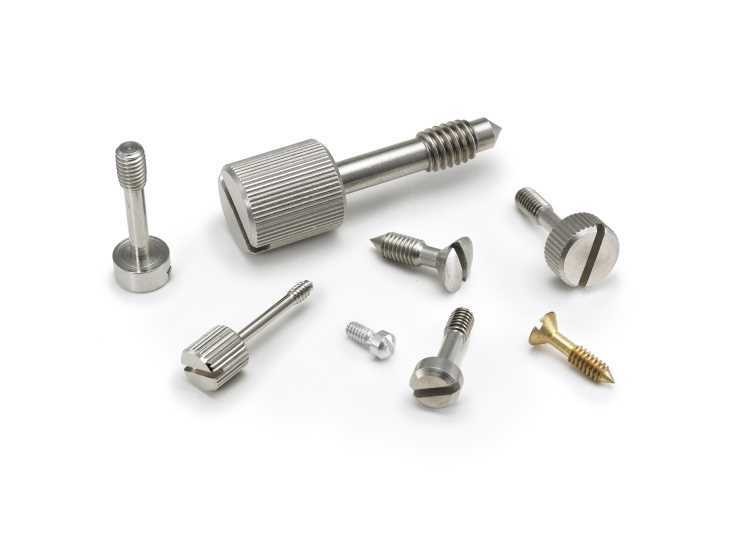 RC Fasteners & Components stocks four captive screw types, in multiple sizes, lengths, and materials (steel, stainless steel, and brass) to meet your needs. RC Fasteners and Components is your #1 source for superior quality captive panel screws at competitive prices. Order today, request a quote, or contact us to find out how we can save you time and money on your captive panel screw needs.